There is no hunting allowed here except for special managed hunts. 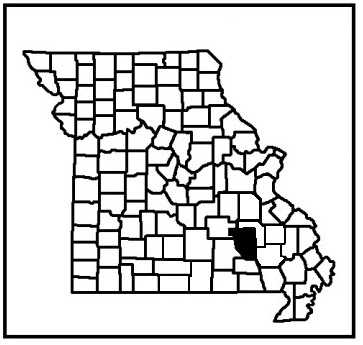 From St. Louis, take Hwy 21 south about 25 miles past Potosi to Hwy N, turn southwest. Follow Hwy N 13.1 miles, just past the entrance to the scour area, to Hwy MM, turn right. Follow Hwy MM for 0.8 of a mile to the entrance on the left. The day use parking is immediately on the right. 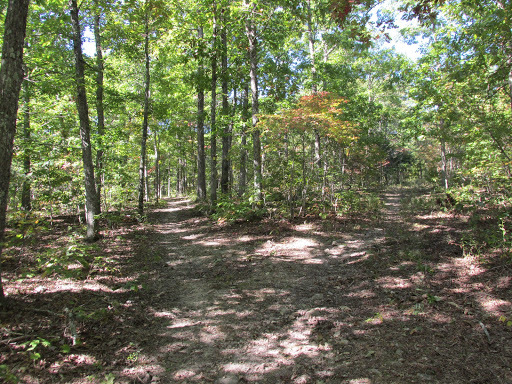 For the campground, drive past the trail head and guard shack to the first roundabout, and turn right at the first exit into Loop 1. No hunting allowed here except for special managed hunts. See our Camping Fee Page for information. 9 sites are available. 2 back-in & 7 pull-throughs. 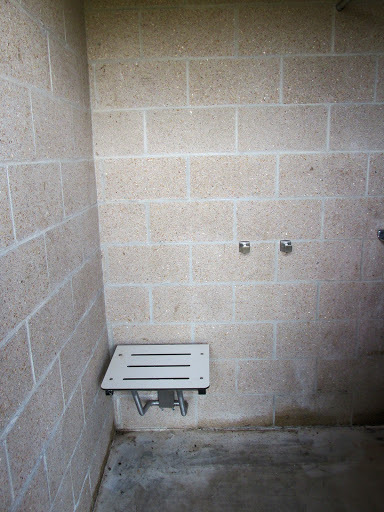 The campsite closest to the shower/toilet house is handicapped-accessible. Campground gates close at 10pm. Not allowed. This is a wild area so mechanized equipment is not allowed. 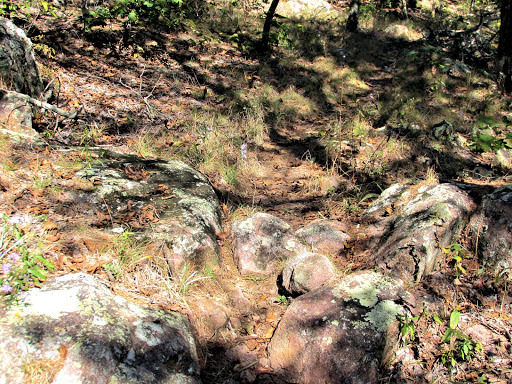 This trail is blazed in yellow, can be steep and very rocky, with bluffs and drop-offs next to the trail. 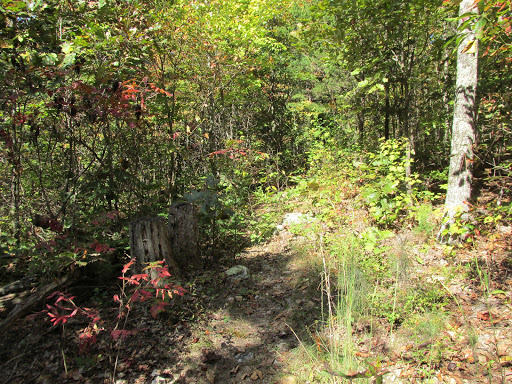 The connector from the trailhead to the loop is newer than the rest of the trail and runs along a creek beside the campround. 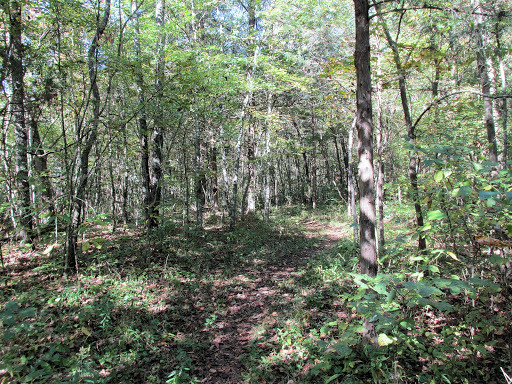 In periods of rain, this portion of the trail will likely become muddy or flood. 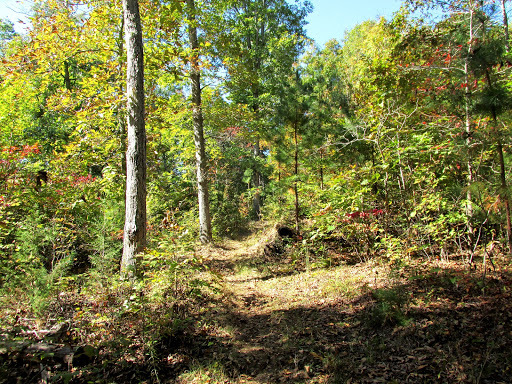 Once you pass that area, the trail starts uphill. For the next mile, you have a long, steep, hill to climb. At the top of that hill is where the trail splits. The good news is, at the end of your ride, when your horse might be tired, it’s all downhill to the end. 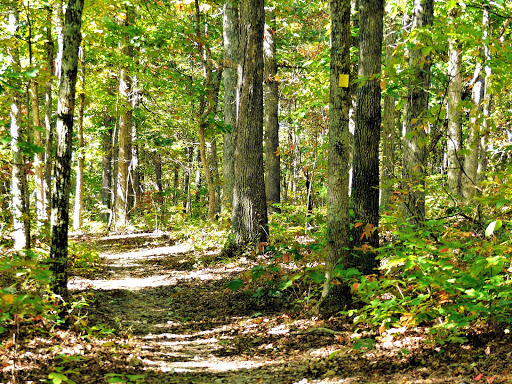 The trail passes through fragile glades in some areas, so please stay on the designated trail. 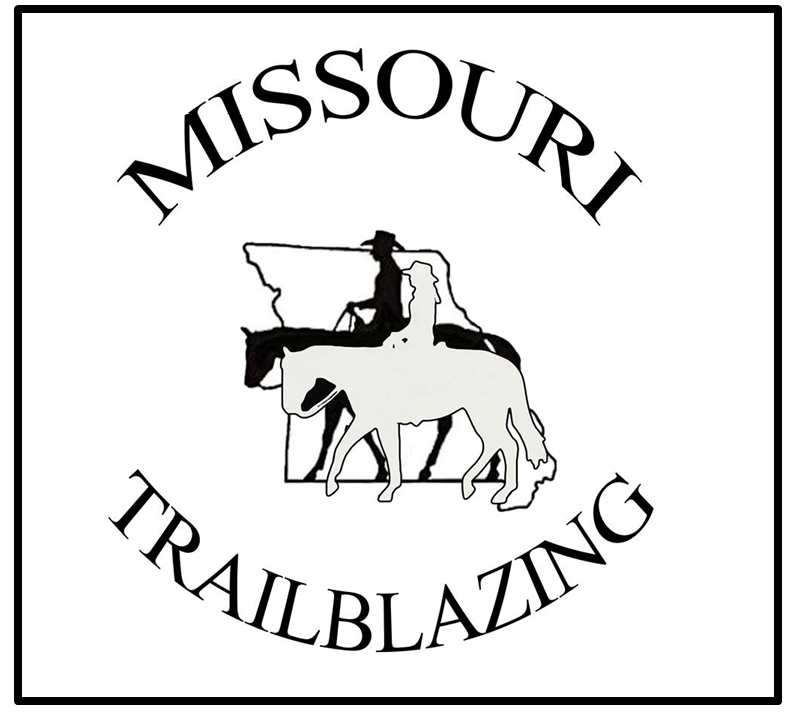 There is a spur trail to the Ozark Trail, but equestrians are not allowed on either. 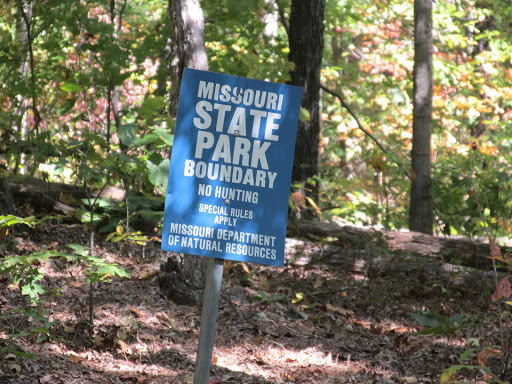 A hiker we ran into said he got confused at that part of the trail, so be aware that it MIGHT be confusing where the Goggins and Ozark Trail intersects. 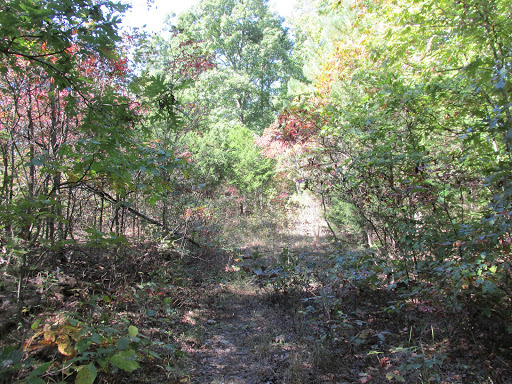 The trail is well marked and easy to follow most of the year, but can get overgrown in late summer. 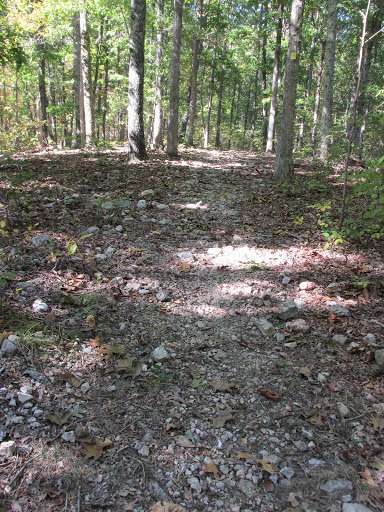 The trail tread is a very narrow single track in some places and I could see the trail totally disappearing in various places when fall leaves are on the ground. 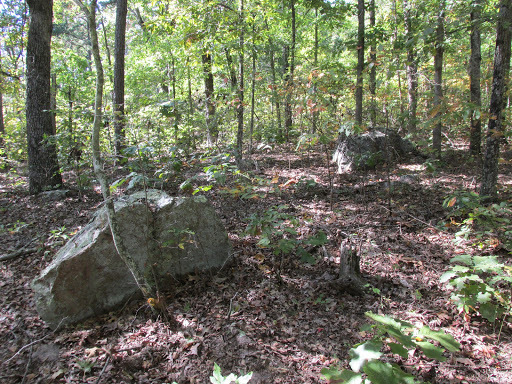 This is another trail with a population of feral hogs to watch out for. 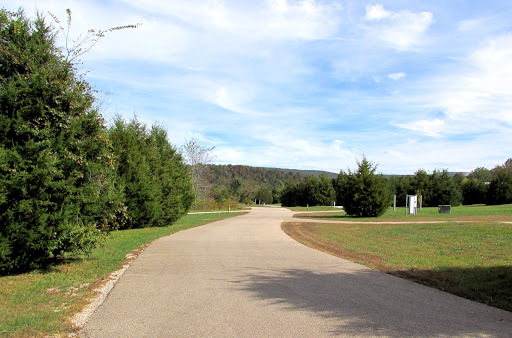 Hiking, fishing, swiming, a bike riding path, and picnicking. 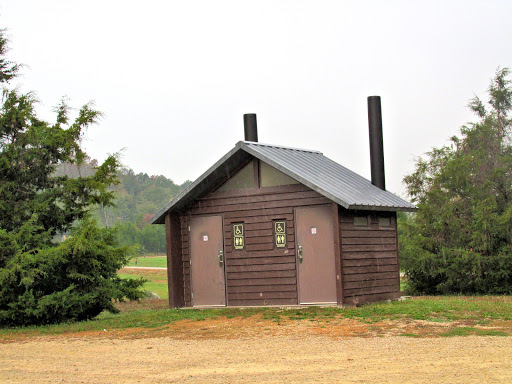 A dump station, laundry, & free Wi-Fi. 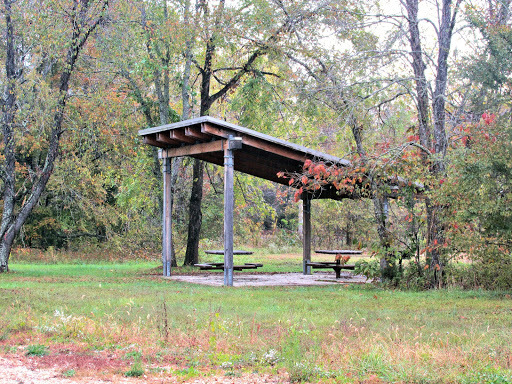 Campground Store available April – October. 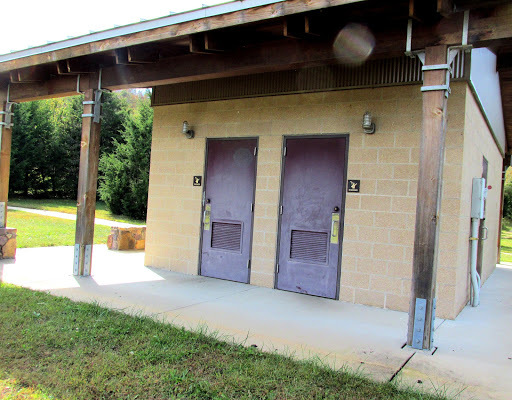 Day Use Trailhead: Hitching rail, vault toilet, & shelter. 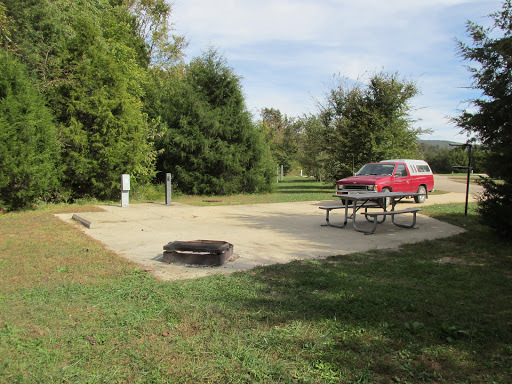 Campground: High-line poles, picnic tables, lantern posts, fire rings, a shower & toilet house, and manure disposal areas. Drinking Water: April – Oct. in the campground. 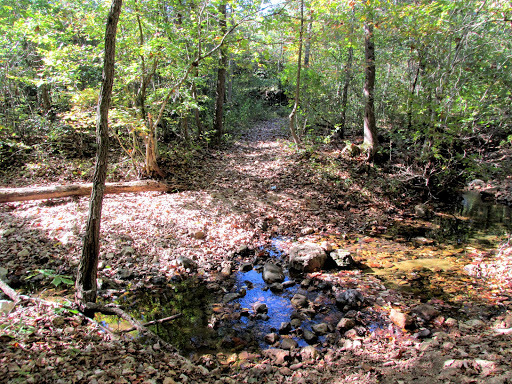 Water for horses: A small creek or in the campground Apr. 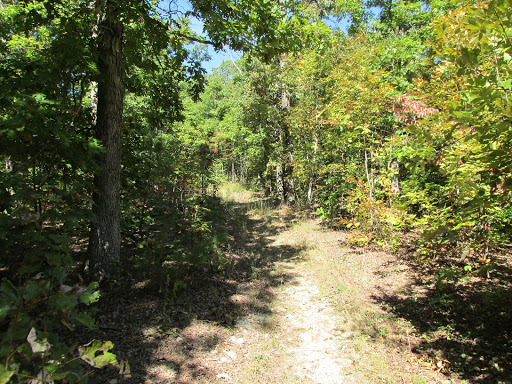 – Oct.
Loop 3 (not the equestrian loop) is the only loop open from Nov. – April. 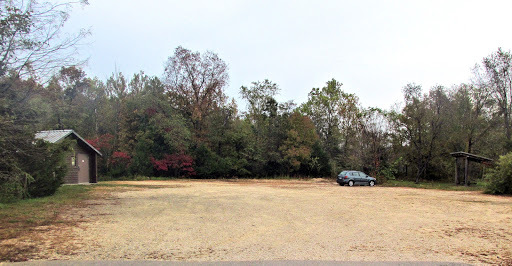 Car Care, groceries, & a restaurant: Arcadia, about 20 miles northeast. Equine Camp Site. This one is a back-in. Shower & Bathroom House. 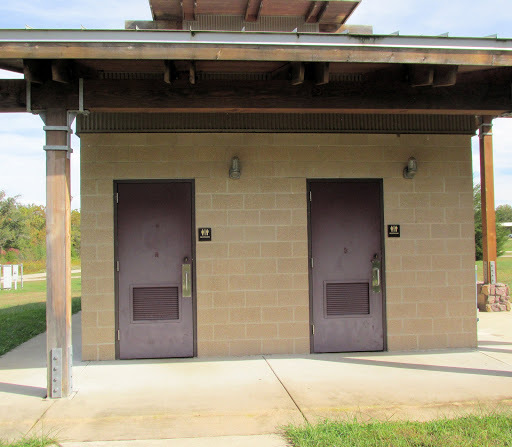 Bathrooms are large and have flush toilets. Shower side. All showers are large, have great hot water and water pressure. 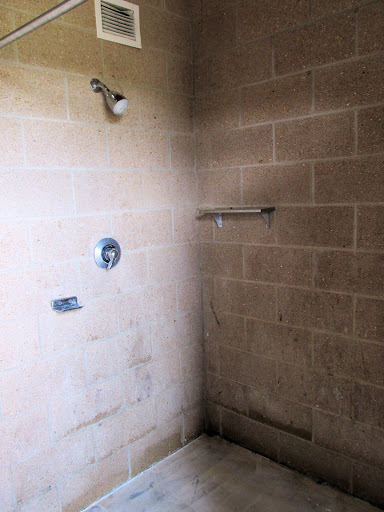 Inside of shower, one side. Inside of same shower, other side. Mostly a shady wooded single track trail. First Creek Crossing near the beginning. 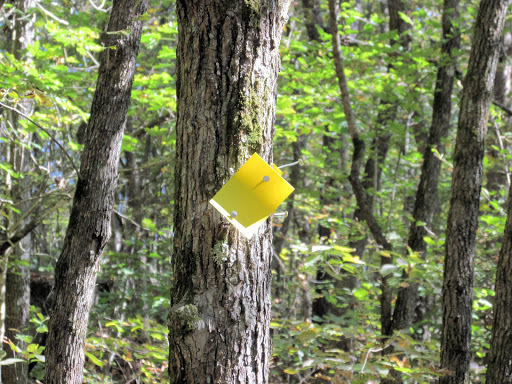 Very well marked with many yellow markers. 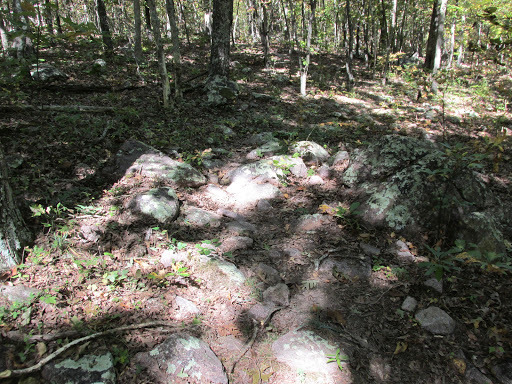 Trail tread is very rocky in many spots. And soft dirt in others. Here is a short sunny section. 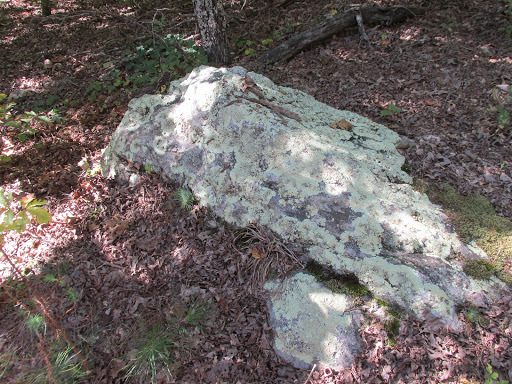 You slowly start seeing a few larger rocks along and on the trail. This is the fork in the trail. To the right is where we went this trip. 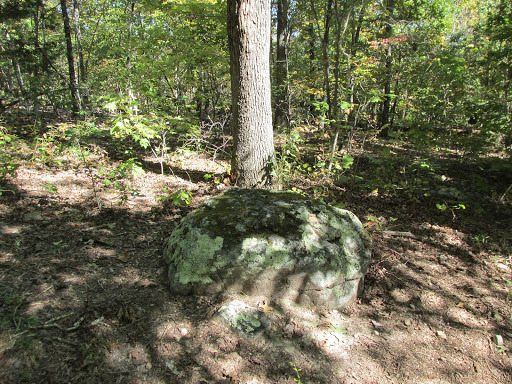 This seat sized rock marked the fork and was a good place to rest before continuing on. 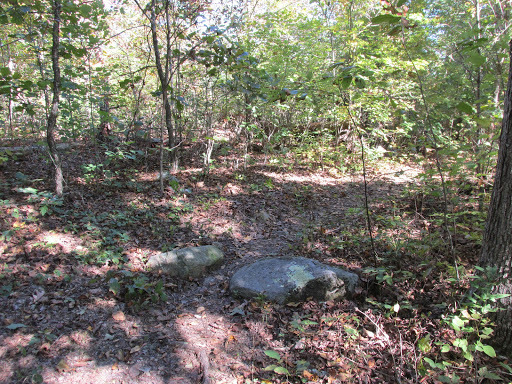 The trail to this point was almost all a steep uphill climb for about 1.2 miles. hunter orange during deer season, even though hunting is not allowed here. 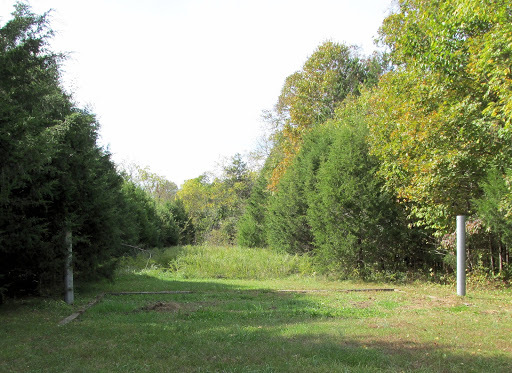 Some places get overgrown later in the summer. 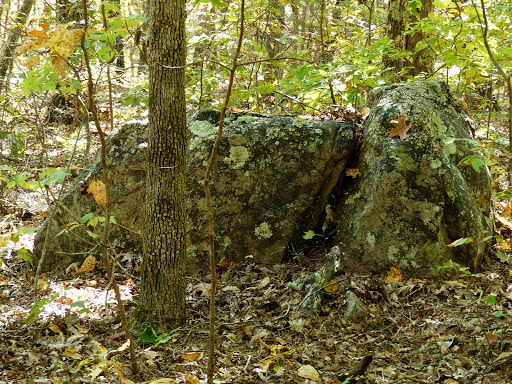 Often there are some rocks your horse will have to negotiate in the trail. Another sunny spot on the trail.